This estate is almost like a small community. If you are looking for a calm and pleasant place to take your horses to, then this property would be perfect with it’s rolling land, full of shady spots and a large, ancient olive mill which could be converted into a luxurious stable. If your are looking to start your own business such as glamping, yurts or would even like to adventure into the up and coming trend of premaculture, then again, this property is ideal. There really are so many different and interesting opportunities this property offers, it really is just screaming for someone to use it to it’s full potential. As soon as you arrive on the plot, you will be bewildered by how serene the surroundings are and by the only thing you can hear is the wildlife enjoying their undisturbed freedom. It really does put you at ease as soon as you step foot on the land. 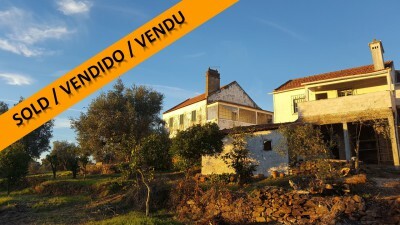 On the plot there are two stone cottages and a 400 sqm ancient olive press. There are already both mains water and electricity connected to the two cottages, one of which was restored around 20 years ago and is perfectly habitable and could be used as the main living accommodation while the work is being carried out on the other one, the other needs quite a bit of renovation. Both of the cottages have lovely basements still with characterful stone walls, these spaces are just perfect to be converted into large open space diners with patio doors opening up onto the land. Since the houses are south facing, the sun rolls over the garden throughout the day meaning natural light is in abundance and when the sun sets, the rooms are flooded by an orange coloured wave. The properties have outbuildings that can be used as storage or incorporated into the habitation or if setting up a campsite is your idea then there are plenty options for shower blocks and communal kitchens. The land classification where the cottages are settled is urban which will make things much easier in the council if you want to do major alterations to the properties like building a swimming pool. But since there are two large water storage tanks with around 1.80 metres of depth, these could easily be converted into extremely characterful swimming pools. Olive press: The olive press has a footprint of 400sqm, most of the walls are still in very good condition and there is the option of submitting a project to renovate it back into an olive press or with the right permissions you can even change it into a proper guest house. As mentioned earlier, this building would be perfect for a stable or as a large workshop/garage. There are still many features around the ruin that would look great when restored back to their former glory. Land: The property comes with around 10,000 square metres of land, the land is very fertile and is fully walled with metal chain link fencing on top. There is a good selection of mature fruit trees and around 100 olive trees most of them over a century old. The property has a well and a borehole meaning that there is a free and abundant amount of water to work the land with. Closest village is situated at Serra, which has several cafes restaurant and a small mini-market. There is a weekly market at Sundays. Serra is around ten minutes drive from the larger town of Tomar, which has supermarkets, shops, builders merchants, cafes, restaurants, health centres, schools, a weekly market, swimming pools and historic Convento do Cristo and Castle constructed by the Knight Templars in the 12th century.